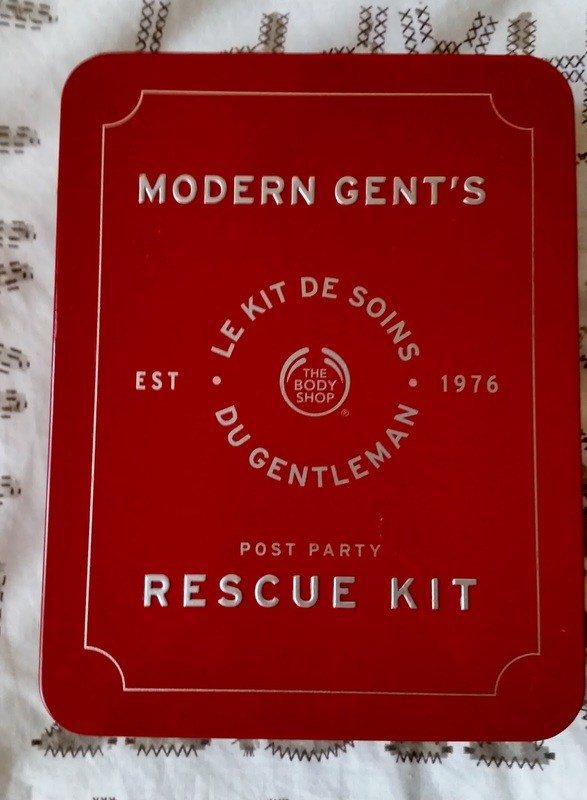 This exclusive rescue kit makes an ideal Christmas gift for any man in your life for a dad to a brother or just a treat to yourself. Peruvian maca root to hydrate and protect the skin. 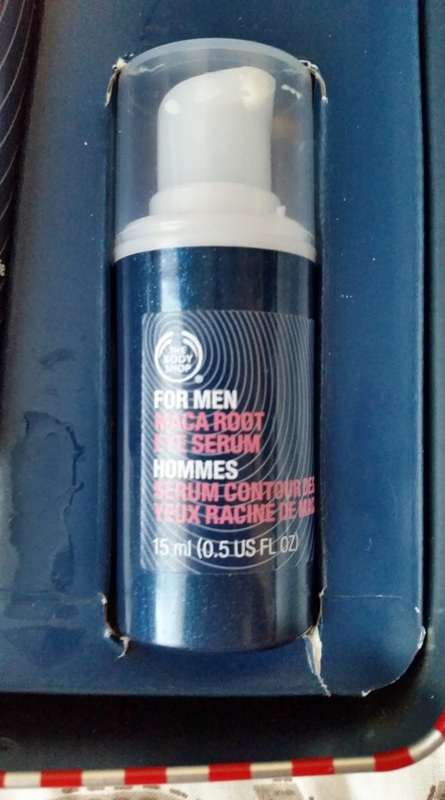 1.For Men Maca Root Eye Rescue serum. 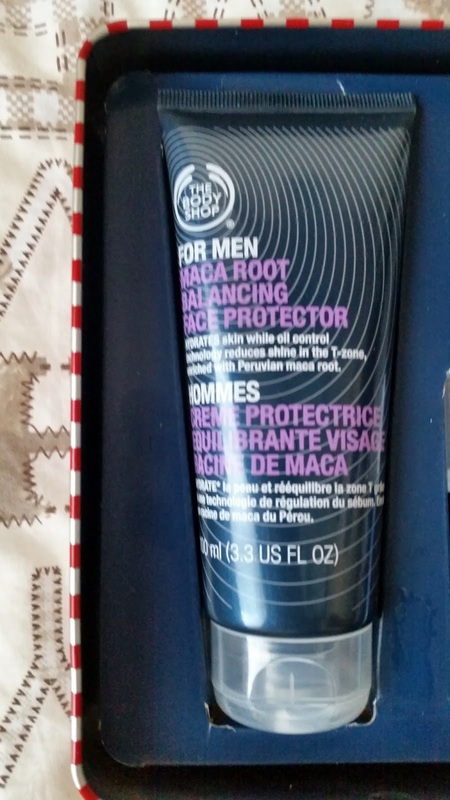 2.For Men Maca Root Energetic Face Perfector. 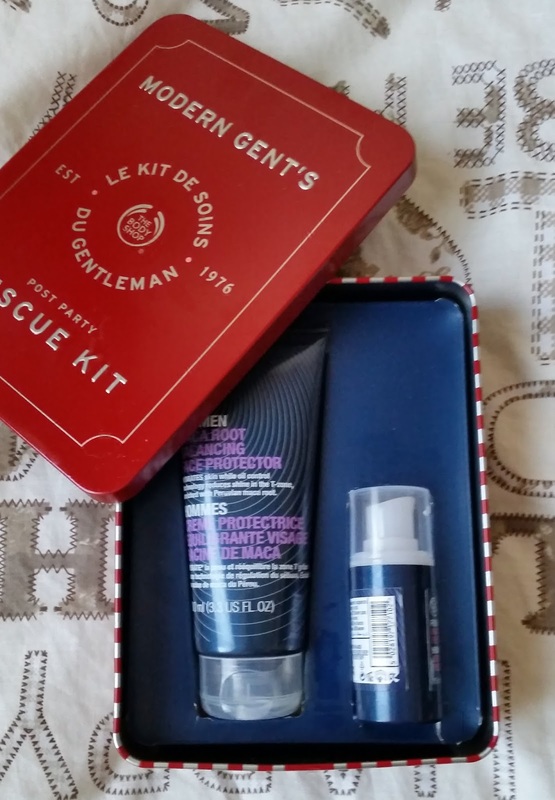 Now i do like eye serums, so i was glad that i received one in this kit. When too many late nights, due to work or seeing friends, sometimes starts to show and those dreaded eye bags make an appearance. This handy 15ml pump bottle fits neatly in the hand for making dispensing the product easier, especially if your in a rush. The description and directions state (you have to peel back the label to find them). Helps reduce the appearance of dark circles, and enriched with maca root and community trade Brazil nut oil. Dab around the eye gently. This white milky formula which is of medium consistency but soon disperses when moved around, applies well. As soon as u move the cream around it soon turns into a light formula that the skin absorbs quick. There is no residue and this dries to a matte finish so isn't shiny around the eyes. 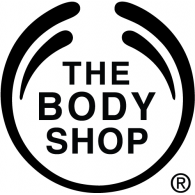 There is no scent to this, which isn't a bad thing if your eyes cant tolerate scented products around or near them. My eye area felt moisturised and less puffy. 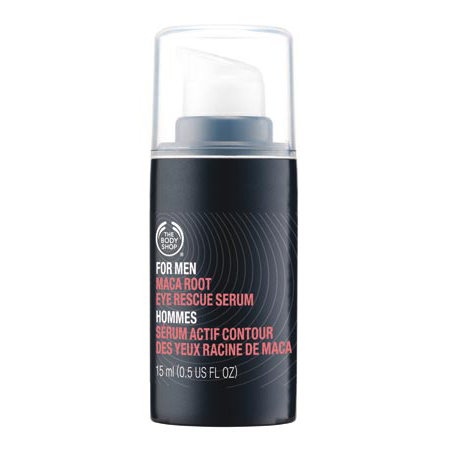 This is a simple product that does the job quite well and would make a great product to introduce into any mans skincare regime. I was sent the Balancing instead of the Energetic Protector included in the kit (pictured). The maca root balancing face protector hydrates skin where needed but also with oil balancing technology reduces shine in the t-zone. 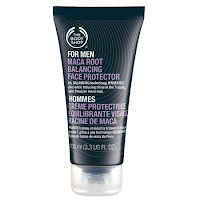 This multi-tasker also improves and protects skin, the more times you use it. The 100ml snap cap squeeze tube has the same design as the "for men" range but the clear descriptions on the front let you know which products you are using. The light consistency and also runny, be careful when u squeeze the tube, has a light but masculine scent and a little goes along way. Apply to face with fingertips. Smooths over skin with ease and instantly absorbs whilst getting to work by smoothing the skin and than drying down to a matte finish (no shine). This left my skin refreshed, moisturised and so soft! 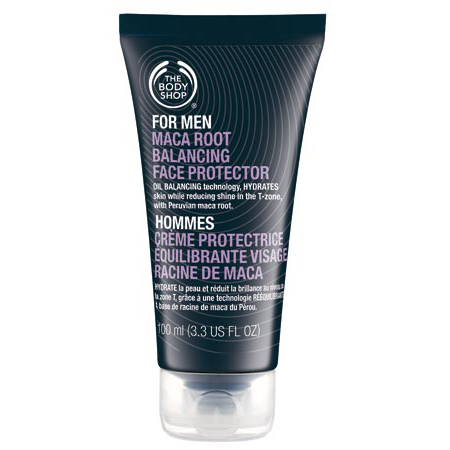 "Best Seller" products and is ideal for men to use, especially in the morning when time is against them and they are in a rush. So if your looking for a Christmas present or just a treat for yourself than why not consider introducing these easy skincare products that work and are fool proof to use. 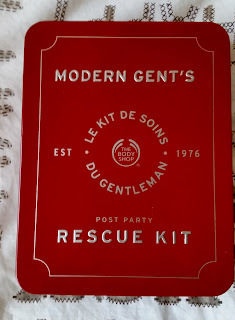 The kit advertised has another "for men" protector included with added SPF, than the one that was sent to me.